David Ebsworth is the pen name of writer Dave McCall, a former negotiator for Britain's Transport & General Workers' Union. He was born in Liverpool but has lived in Wrexham, North Wales, with his wife Ann since 1981. Following his retirement, Dave began to write historical fiction in 2009 and has subsequently published six novels: political thrillers dealing with the 1745 Jacobite rebellion, the 1879 Anglo-Zulu War, the Battle of Waterloo, warlord rivalry in sixth century Britain, and the Spanish Civil War. His sixth book, 'Until the Curtain Falls', returns to that same Spanish conflict, following the story of journalist Jack Telford, and is published in Spanish under the title 'Hasta Que Caiga el Telon'. Jack Telford, as it happens, is also the main protagonist in a separate novella, The Lisbon Labyrinth. Each of Dave's novels has been critically acclaimed by the Historical Novel Society and been awarded the coveted BRAG Medallion for independent authors. 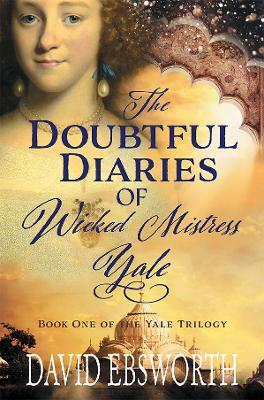 This seventh novel, 'The Doubtful Diaries of Wicked Mistress Yale', is the first in a trilogy about the life of nabob philanthropist (and slave-trader) Elihu Yale, told through the eyes of his much-maligned and largely forgotten wife, Catherine. For more information on the author and his work, visit his website at www.davidebsworth.com.